Artega maakt op de IAA in Frankfurt een heuse comeback en komt direct met een mooie elektrische sportwagen, de Artega Scalo. De Artega Scalo ziet er nauwelijks anders uit dan de Artega GT, maar de 3,6 liter V6 Volkswagen-motor is vervangen door twee elektromotoren en een accupakket. De elektrische aandrijflijn produceert 408 pk en kan korte tijd een piekvermogen van 530 pk leveren. Daarmee kan de Scalo in 3,6 seconden van stilstand naar 100 km/h sprinten. De topsnelheid van de Scalo is begrensd op 250 km/h. Als het laadniveau van de accu’s onder de vijfentwintig procent duikt, grijpt de elektronische waakhond echter al bij 200 km/h in. Met een volle batterij kan men in de Scalo ongeveer 400 km afleggen. The Artega brand opened a new chapter in its development at the IAA in Frankfurt/Main. The company, which launched spectacularly in 2007, has returned as a manufacturer under a new company name! This return includes two vehicles: The new German electric sports car Artega Scalo and the new German electric fun car Artega Karo. The German sports car Artega GT, first launched eight years ago, continues to bring positive responses among technical circles and car lovers. The touring sports car – the German interpretation of the “Grand Tourismo” – combined driving fun with suitability for everyday use; 153 vehicles were produced by 2012. Its innovative light-weight construction concept is highly up to date, particularly under the aspect of protecting resources. 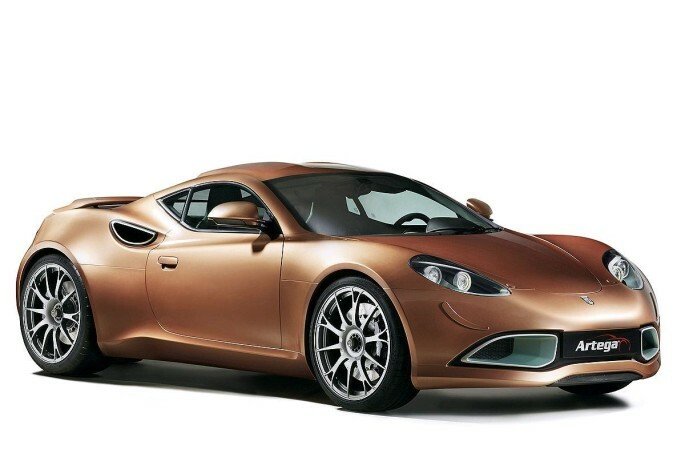 The Artega Scalo with a purely electric drive is the direct successor of the Artega GT, which inspired car fans around the world. The new German electric sports car promises pure driving enjoyment with aerospace genes. An impressive acceleration of 0 to 60 mph in 3.6 seconds and an electronically limited maximum speed of 155 mph characterise the Artega Scalo. The range of up to 250 mls and the charging time are convincing as well. With a 64 kW DC quick charge, it is possible to charge the battery completely in less than one hour.